This used 2018 Ford Super Duty F-250 SRW This Used four wheel drive 2018 Ford Super Duty F-250 SRW in Knoxville Tennessee features a Shadow Black Exterior with a Medium Earth Gray Cloth Interior and has only 22,594 miles. DEALER CONTACT INFO: Call Rusty Wallace Nissan today at (865) 622-7195 TO SCHEDULE YOUR TEST DRIVE of this 2018 Ford Super Duty F-250 SRW ! 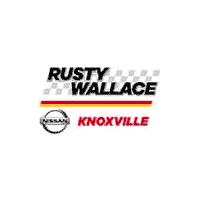 Rusty Wallace Nissan serves Knoxville, TN Car Buyers, you can also visit us at, 4515 Clinton Hwy Knoxville TN, 37912 to check it out in person! FINANCING: Knoxville Tennessee buyers looking for COMPETITIVE FINANCE RATES are right here at Rusty Wallace Nissan where we offer the most competitive rates around for new & used car financing, bad credit financing, or first time buyer financing programs. MECHANICAL FEATURES: This Ford Super Duty F-250 SRW comes Factory equipped with an impressive 8 cylinder engine, an 6-speed shiftable automatic transmission. This used 2016 Toyota Tacoma This Used four wheel drive 2016 Toyota Tacoma in Knoxville Tennessee features a Magnetic Gray Metallic Exterior with a Graphite Cloth Interior and has only 37,945 miles. DEALER CONTACT INFO: Call Rusty Wallace Nissan today at (865) 622-7195 TO SCHEDULE YOUR TEST DRIVE of this 2016 Toyota Tacoma ! Rusty Wallace Nissan serves Knoxville, TN Car Buyers, you can also visit us at, 4515 Clinton Hwy Knoxville TN, 37912 to check it out in person! FINANCING: Knoxville Tennessee buyers looking for COMPETITIVE FINANCE RATES are right here at Rusty Wallace Nissan where we offer the most competitive rates around for new & used car financing, bad credit financing, or first time buyer financing programs. MECHANICAL FEATURES: This Toyota Tacoma comes Factory equipped with an impressive 6 cylinder engine, an 6-speed shiftable automatic transmission. This used 2016 Toyota Tundra 4WD Truck This Used four wheel drive 2016 Toyota Tundra 4WD Truck in Knoxville Tennessee features a Silver Sky Metallic Exterior with a Graphite Cloth Interior and has only 17,735 miles. DEALER CONTACT INFO: Call Rusty Wallace Nissan today at (865) 622-7195 TO SCHEDULE YOUR TEST DRIVE of this 2016 Toyota Tundra 4WD Truck ! Rusty Wallace Nissan serves Knoxville, TN Car Buyers, you can also visit us at, 4515 Clinton Hwy Knoxville TN, 37912 to check it out in person! FINANCING: Knoxville Tennessee buyers looking for COMPETITIVE FINANCE RATES are right here at Rusty Wallace Nissan where we offer the most competitive rates around for new & used car financing, bad credit financing, or first time buyer financing programs. MECHANICAL FEATURES: This Toyota Tundra 4WD Truck comes Factory equipped with an impressive 8 cylinder engine, an 6-speed shiftable automatic transmission.